Creating designs for new construction, residential remodel, real estate services (licensed realtor in Omaha Nebraska) is my passion. Clients are my #1 Priority! Creativity, listening, and striving to making a house a home contribute to inspired designs. We are a full service interior design firm that takes a hand on, collaborative approach in creating aesthetically appealing interiors that suit your personality and lifestyle. Consulting with an interior design firm is not about imposing ideas and personal taste onto a client. We work with you to create a personalized space that is uniquely yours. We help you create a warm and inviting home. Our attention to detail and client communication results in inspired and unexpected solutions. When designing we consider function, form and of course beauty. We have managed jobs from quaint neighborhood homes to multi-million dollar mansions. We love finding what is functional for our clients home and can work within their means. We work to create a personal relationship with our clients that makes them want to keep coming back to seek our design expertise. Read what some of our customers have said about our design process and final product. They agree we are truly something special. Mix & Match your way towards owning your own style, rather than subscribing to someone else's. The design process starts off with my client's thoughts and needs. Through discussion and sketches, I guide your design from concept to completion while educating the client through every step. Preferred Lafayette Window Fashions Dealer Welcome to Lee Douglas Interiors, Inc. (LDI) founded in 1989 in Lincoln, NE and expanded to Omaha, NE in 2013. Lee Douglas Interiors is a full service commercial and residential design firm servicing clients, builders, outside designers and offering a retail storefront to the public, stocking furniture, accessories, and artwork. Our faux finish and mural division employs artists who specialize in exceptional wall textures, furniture and cabinet finishing, murals and custom original artwork. Lee Douglas Interior's designers will work with you to incorporate your unique style into the project, while making recommendations that compliment your personal taste, needs and budget. It is our priority to make the design process an enjoyable and affordable experience. An independently owned interior design firm based out of Omaha, NE. We offer superior customer service with the experience to match, and pride ourselves in the ability to cater to each individual client's needs. Trish Barmettler is a well-respected, licensed interior designer. 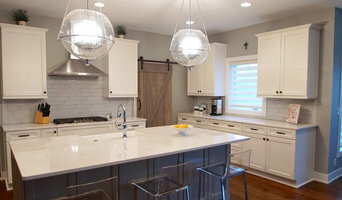 Trish specializes in residential and commercial interior design. 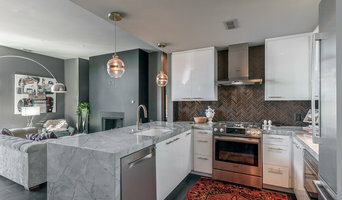 Her notable skill in conceptual design has earned her a reputation as one of the Midwest’s premiere interior designers. Her work has been featured in many Residential Showcases and industry publications. Some people may be intimidated by working with an Interior Designer, but Trish makes the process easy, fun, and affordable. Trish prides herself in the ability to listen to her clients wants and needs. Her firm keeps up to date on the newest styles, trends and ideas and offers creative results that are both functional and beautiful. Trish strives to produce interiors that are a combination of the client’s objectives, location and architecture, giving special attention to details. She can advise you on the most practical to the most elegant designs for your home or office. Feel free to reach out to us, we would love to hear from you! Stacie Muhle, founder of Artistico Interiors, a boutique design firm in Omaha, NE, is an award winning Interior Designer who received a Bachelor of Interior Architecture from the CIDA accredited University of Nebraska – Lincoln. She is the only designer in Omaha who also holds a certificate in Remodeling Project Management from NARI (National Association of the Remodeling Industry). She is highly sought-after for commercial, corporate, and residential projects throughout the United States and her stylistic vision and attention to detail has been showcased in many local publications and in her design featured in an episode of HGTV/DIY Network’s House Crashers. Stacie is passionate about the industry and happily shares her wealth of knowledge with future Interior Designers as an adjunct professor in the Interior Design Department at Metropolitan Community College in Omaha, NE. With 25 years of experience in Interior Design, Stacie has developed an innovative skill set that allows her to take her client’s design wishes and turn them into unique and practical spaces that they can be proud of. 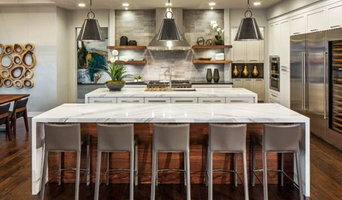 Stacie offers a full range of unique services including 3D and AutoCAD drawings as well as in-house cabinetry for mid to high-end clientele. Her versatile background makes her a powerful resource for her clients by helping them enhance their quality of life while avoiding costly mistakes, staying in budget, and ultimately removing stress to create a delightful design experience. Stacie serves on numerous boards and committees. She is currently serving as the ASID (American Society of Interior Designers) NE/IA President, upcoming member of the ASID Chapter Support Team Committee – Northeast Chapters, NARI Board Member - National Chapter Representative, National Vice Chair of Finance and Audit Committee, National Committee Member of Workforce Development and Government Affairs, local co-chair COTY Awards, and NKBA (National Kitchen & Bath Association) NE/KS Programs Director. Interiors by Eric James is a full service residential, commercial, interior, exterior design company. 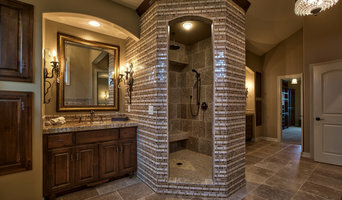 We specialize in creating spaces that are not only beautiful, but functional as well. 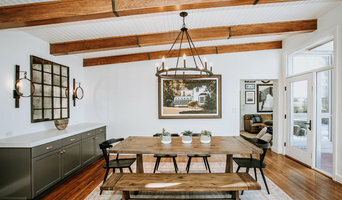 Whether new construction, remodeling, or simply adding an updated look to your existing space Interiors by Eric James will guide you through the design process. Our goal is to combine your personal style with our knowledge and skills to create the ultimate space for home or business. Your satisfaction is our number one priority. We look forward to working with you soon! At Apropos Design, our designs are created using the theory of "Emotional Aesthetics." We believe Interior Design is a combination of the visual aspects, as well as the feelings the space elicits. We offer a comprehensive variety of Interior Design services for new construction, remodeling, renovation, restoration, redesign and existing spaces. Whether the space or the budget be large or small, Apropos Design is dedicated to catering to the needs of the client. Since opening in 1977, The Interior Design firm has focused on developing close working relationships with our clients. No matter the degree of involvement required, IDF promises to create the environment that appeals to the senses and fully serves the desired functionality. The Interior Design Firm offers custom levels of service and a wide range of products and knowledge to personalize the design experience for our clients, blending aesthetics and personal taste with function. IDF offers clients services throughout any or all phases of building, remodeling, and redecoration. Our designers can visualize and strategically help you complete your design goals. We provide project management to address the functional objectives of your building or home. We will work to create a fluid environment where all the elements are complimentary and create a sophisticated atmosphere that reflects your taste, lifestyle, and needs. With 25+ years of experience as an interior designer, Arlene Osterloh can assist you with all of your home and office design needs. Her background includes working at a high end furniture company, being part owner of a new home construction company, and being employed as a designer for 22 years at one of Omaha’s largest design firms. From new construction and remodeling consultation to the finishing touches of custom furnishings and accessories, she knows how to create and complete the look that suits both your style and budget.